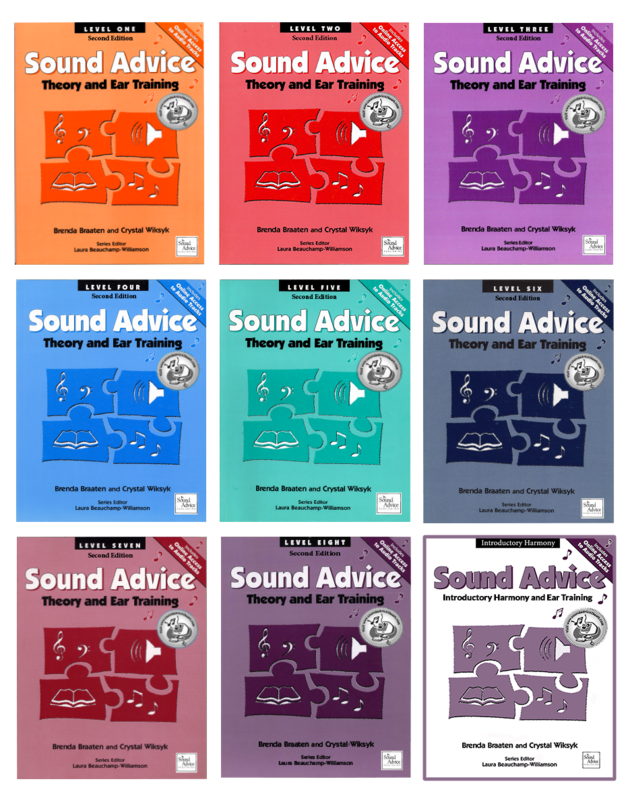 The Sound Advice Theory and Ear-Training program offers an innovative approach to the study of music theory. By relating musical sounds to their symbols students gain a deep understanding and enjoyment of music that will last a lifetime! Teachers will find these materials ideal for use in both studio and classroom settings, for students of all instruments as well as singers and choristers. Throughout the series, theoretical concepts are introduced in a clear, concise manner and are immediately reinforced with written worksheets and ear-training assignments. History and musical style is woven throughout the series and students are gradually introduced to melody writing, harmony and counterpoint. Level 8 and Introductory Harmony Available Soon!